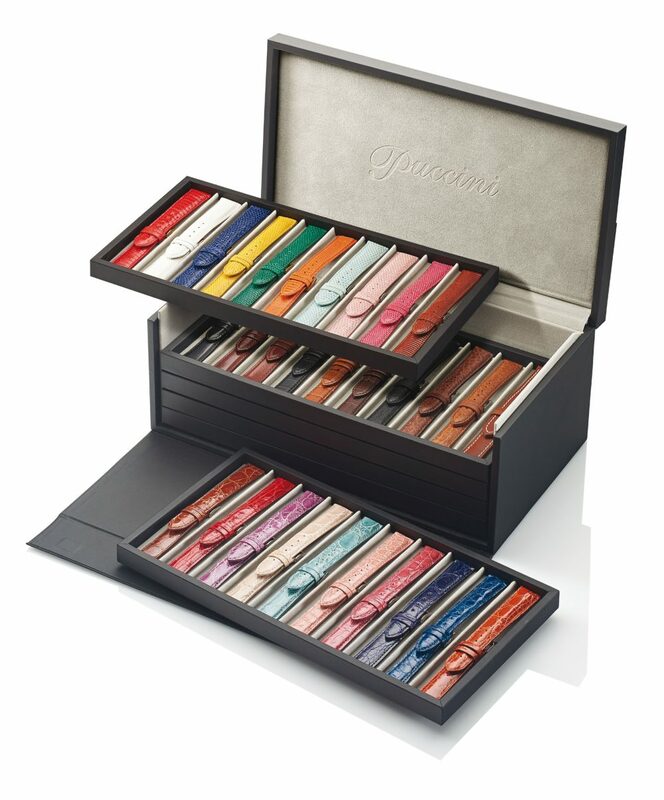 The Puccini collection is an exclusive range of Italian, handmade premium quality watch straps, available in a wide range of exquisite colours and exotic skins to compliment the most prestigious timepieces. Puccini leathers comfort the skin by using environmentally friendly and natural tanning methods coupled with anti-allergy linings. All skins including lizard, crocodile and alligator are from non-endangered species and all carry the Cites certification. Specialist straps including numerous brand compatible deployment and open-ended options are also available. Furthermore we offer the bespoke service of personalising your Puccini collection by having your brand name or logo embossed on each strap at no extra charge. Fine quality leather watchstraps including all types of leather and reptile skins.